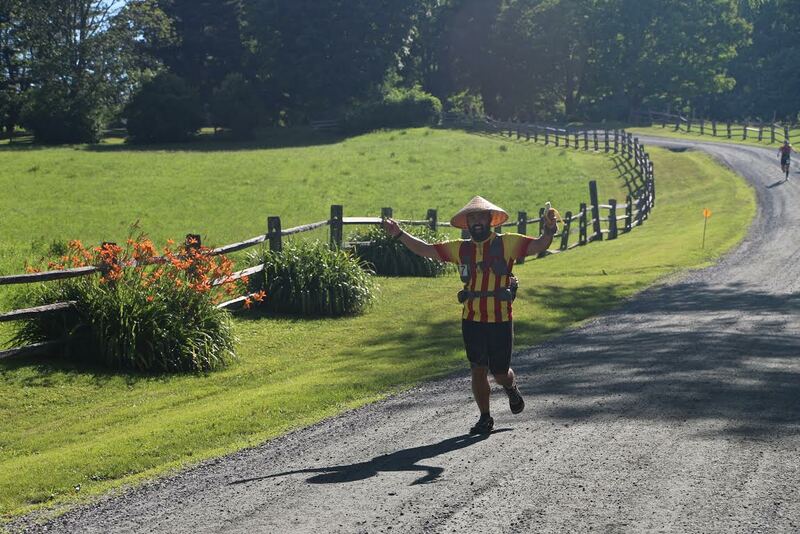 Every year, the VT100 reserves race entries for Team Run to Empower. 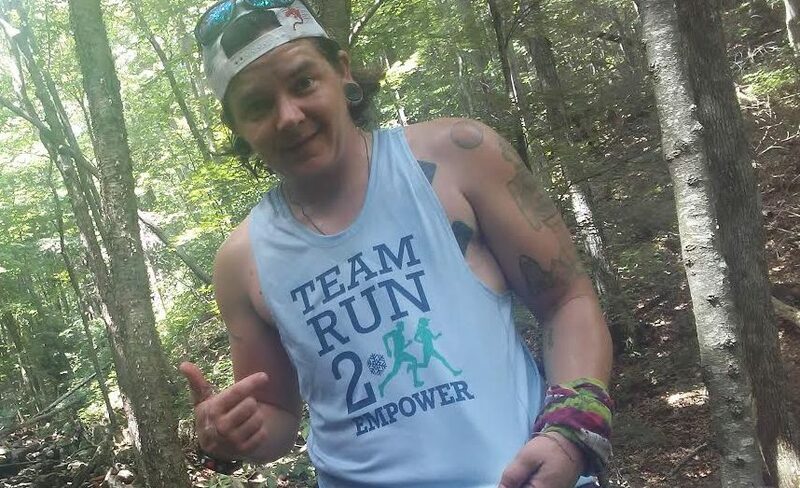 Team Run 2 Empower is made up of individuals who commit to fundraising a minimum of $1,000 for Vermont Adaptive Ski & Sports, a nationally recognized nonprofit providing sports and recreational programs to people with disabilities. Team Run 2 Empower is a large reason why the VT100 is one of biggest yearly fundraisers for Vermont Adaptive. 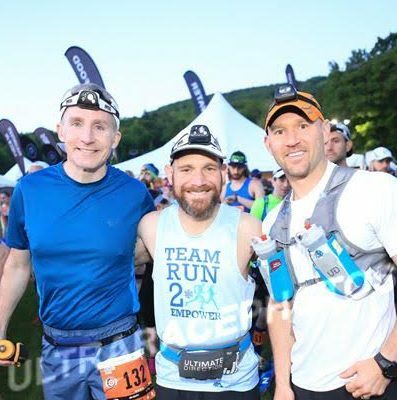 They spend many hours over several months training to get to the VT100 start line, and they are deeply passionate about our race and they believe strongly in its cause as an event that extends beyond themselves and into the lives of others. So, let’s meet this year’s *2017 participants. To learn more about Team Run 2 Empower, make a donation to the team or an individual on this team, or learn more about Vermont Adaptive – Please visit the Team Run 2 Empower PledgeReg page. 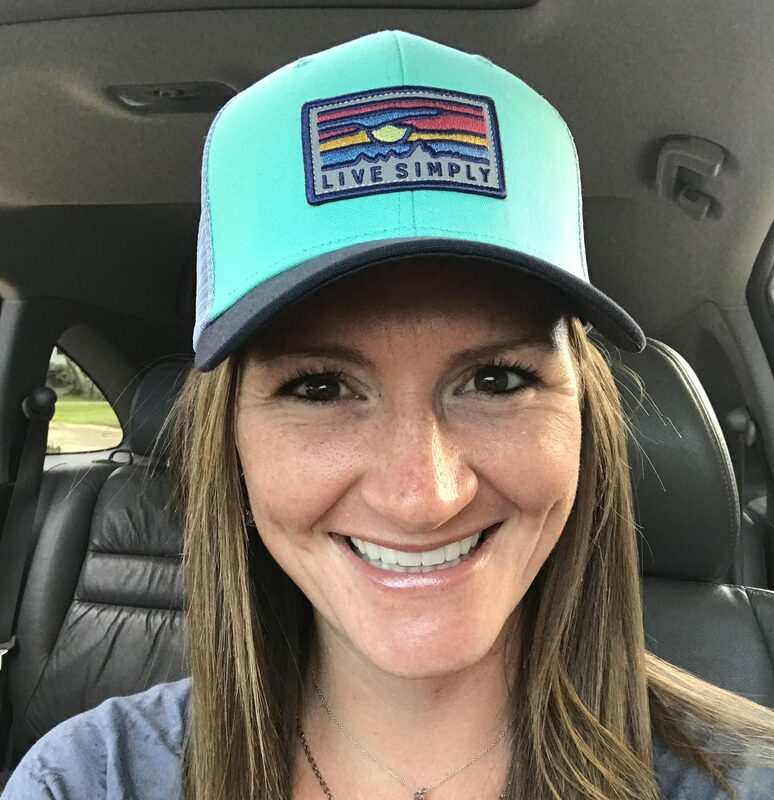 I’m a wife, mom to four, elementary art/phys ed teacher and ultra runner. I love dogs, poetry and photography. This is my second year raising funds for Vermont Adaptive. Last year was my first experience with the VT100 race itself. I was blown away by the family like environment, amazing volunteers, outstanding organization and fundraising for Vermont Adaptive. I have to admit, at that point, I wasn’t quite sure what I was getting into raising funds. I had heard very little about Vermont Adaptive, but boy did I learn! People were so willing to give for such a wonderful cause, and the Vermont Adaptive presentation and speech at the pre-race gathering was so motivational, I knew that when the invite came around this year I would want to help again. Although I am not directly involved with the program itself, I love being able to give what I can by doing this fundraising event. My only regret is that more states do not try to mirror the fine work that Vermont Adaptive does in getting folks outside. I am by no means a disabled individual, but I suffer from and battle depression, so I know what a great help it is to get outside and enjoy being active. Ultra running has been a personal lifesaver for me in this regard. 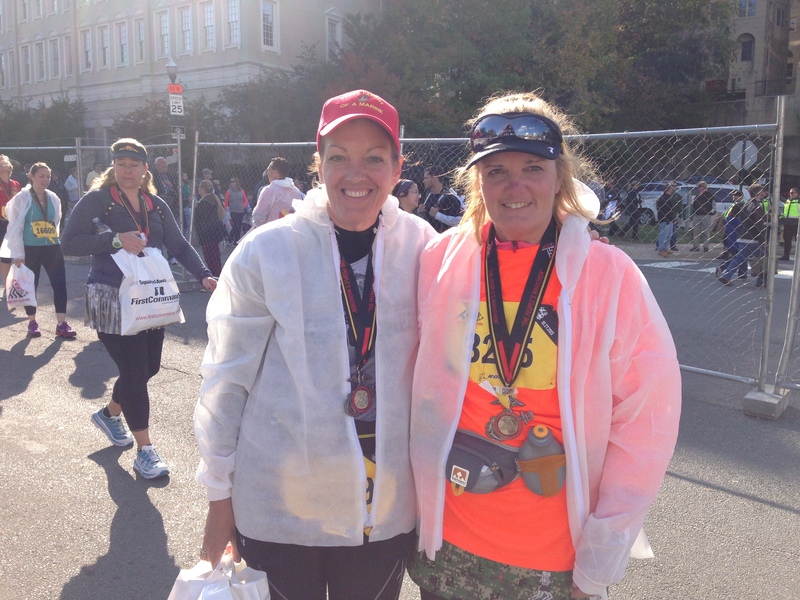 I am so honored to be able to run for Team Run 2 Empower and raise funds for this second year in a row! I ran the race in 2010 and that was my 1st intro to Vermont adaptive and ski. It was very cool to see what is being done to help people with disabilities to have more of the life experiences they otherwise may be missing. I raised money for team Hoyt for 3 years even was able to have the privilege of pushing an athlete in a chair during one of the local races. I’ve enjoyed the feeling of supporting a cause beyond my own personal goals. I was going to participate in this years race, and when I saw the team being formed, I jumped at the chance. It’s really an honor to be supporting this program and all of you who dedicate yourselves to improving the lives of others. So thank you!! This is my first year raising money for Vermont Adaptive. I have participated in sports and outdoor activities for as long as I can remember, but running is my greatest passion. It would really be impossible for me to describe myself without being able to share how much running is a part of who I am, whether it be out on the road or trails, or supporting and spectating others. At the same time, I have loved ones who have been sidelined due to lifelong disability, who dream of being able to join in with their friends and family. I also have loved ones who have lost, through illness or injury, their ability to participate in what they are passionate about, and while a few of those people were able to redirect their passions elsewhere, others still struggle. Being physical active provides an immeasurable value to one’s life not easily replaced by anything else. I wanted to run to raise money for Vermont Adaptive because they work so hard to provide equal opportunities for people of all abilities to participate in sports and recreational activities, giving them the experiences they would not otherwise have. I feel honored to be able to share my passion for running with others in this way, so that they may know the same joy and wellness through physical activity. I decided to run to raise money for Vermont Adaptive because it allows me to do two things I enjoy at the same time, run and help people. I feel very fortunate to be able to live a very active lifestyle, without any physical, medical or other challenges to overcome. My first exposure to help people with disabilities was the Special Olympics when I was back in High School. I was able to work with a young boy and teach him to XC Ski. I was surprised how good it made me feel. Since then I have helped raise money and awareness for several organizations that help people with all forms of disabilities and illnesses. My first fundraising for Vermont Adaptive was in 2012 when I ran the VT50 for the first time. That was my first 50 Mile race and it changed my life. 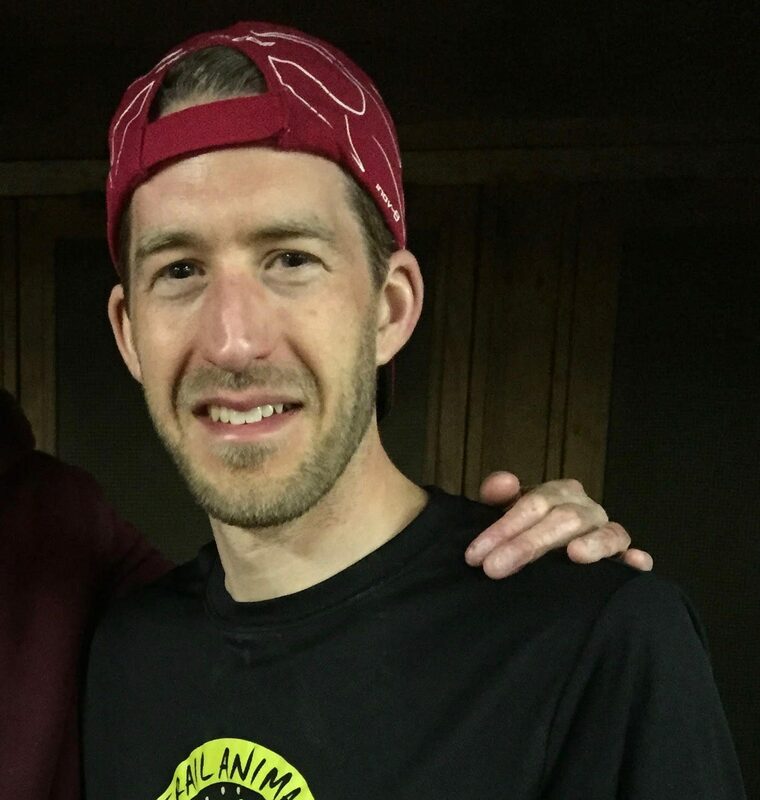 I believe joining Team Run to Empower is a perfect way for me to continue to raise awareness of Vermont Adaptive and take on the biggest physical challenge of my life, the VT100. This will be my first 100 Mile run and possibly the first of many more to come. I am proud to have been able to be part of the team. I need to run a 100 miler…a year ago I choose to raise money as a way to insure my entry into VT100…not much of a statement about Vermont Adaptive but I can say this…I’ve been on the board of the Krempels Center in Portsmouth, NH for 7 or 8 years where we help people with acquired brain injuries regain meaning and purpose in their lives. This includes connecting some of the members with adaptive bikes so that they can ride in an annual fundraiser called the King of the Road Challenge. I have learned how these folks struggle each day dealing with their issues…yet they don’t complain or give up…and they’re always ready to aid others. It’s pretty motivating for me as I’m in a perpetual training cycle and I imagine that Vermont Adaptive is also providing folks with an opportunity to push themselves beyond their current injuries…I’m very happy to be part of Team Run 2 Empower and support the efforts of Vermont Adaptive. My father and 5 brothers have been long time participants in the Vermont 50 since 2004; both running and biking. 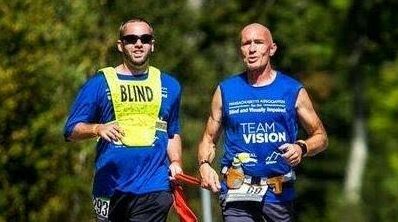 This is my first year running the VT100 with my longtime friend Neil Feldman and fundraising for Vermont Adaptive. I’m excited to be both running the race for the first time; but also supporting this great organization! This is my second year raising money for VT Adaptive. I enjoy fundraising for VT Adaptive because I know that I’m giving folks who wouldn’t otherwise have the opportunity to enjoy the outdoors the chance to do so thanks to the amazing programming offered by VT Adaptive. It’s an honor to be a part of the work that they do in this small way. This will be my second year running the VT100 and running as a charity runner. I’m in the men’s solo division (same as last year). This July I’m going to be competing in my fourth Vermont 100 mile ultra-running marathon. I’m as excited for this race as I was when I ran my first VT 100. Running is something that I’m incredibly passionate about as it’s helped to change my life for the better. It’s also provided me the ability to help others through my blood, sweat and tears. The kindness and caring that was provided to me out on the course, by volunteers, is something that I’ll forever be grateful. And to know that I can help make some small difference is worth any “suffering” that occurs out on the course. I first participated in this race in 2014. I was so moved by the prerace dinner and presentation, and then, as I mentioned above, the volunteers out on the course, that I decided to come back and put the effort to good use. The race itself, and what the body and mind go through over a day’s worth of straight running, is hard to define and articulate. But more so, I was incredibly moved and humbled by Vermont Adaptive Ski and Sports. I’m happy to say that this is my third year in a row raising funds. And I’m super proud to say that I’ve been able to raise, with help from friends, family and folks in my community, more than $30 thousand over the last three years. Today I’m grateful to have the ability to even attempt to run 100 miles. It’s not lost on me that there are people out there for whom simply walking can be a challenge. The amazing work that VA conducts, as well as all the people involved are what keeps me coming back for more – year after year. Having the opportunity to put my legs to good use for VA is well worth any sacrifice on my end. Running cross country and track was an absolute lifesaver when we moved as my twin sister and I were starting 7th grade. It gave me goals; a “rabbit” ahead of me to chase; a rivals time; a hill; laps on the track;or the clock itself-to challenge myself. The sights and sounds of a trail race or a track meet were inviting and I felt “at home” and like I belonged. 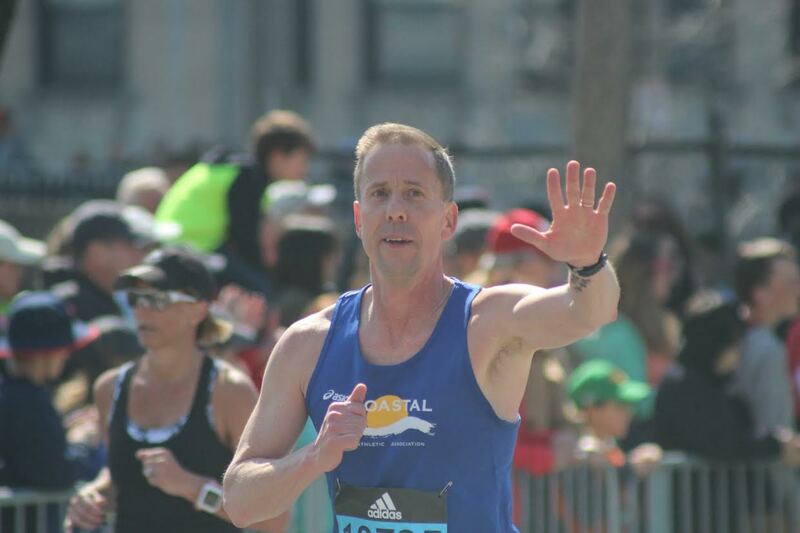 The move was full of challenges but gave me the biggest “gift” in finding running. Finding out about Vermont Adaptive and running for Team 2 Empower feels like the opportunity to pay it forward for someone else…who may be at a similar unexpected crossroads & have no idea how beautiful and life changing and inspiring their journey is about to be enhanced. It’s the greatest gift ever to fuel your own freedom with a day skiing; or kayaking; or riding a horse; or a bike.my bike is my best friend. It gave me a favorite job ever as a bike messenger(every day in all 4 seasons-changing flats as quick as possible or you don’t make any money…)Running & cycling takes me through the highs; and then the tough days of losing my dad.it has been an honor to be a member of Team 2 Empower and Vermont Adaptive. What new adventure will you start with them?….. This year is my fourth time participating in the Vermont 100, but the first time I’ve ever raised money for Vermont Adaptive. It has been through my participation in VT100 that I’ve learned about Vermont Adaptive and I’ve always admired their work ever since first learning about them. I have a background in sports medicine and once worked for an orthotics and prosthetics company where I gained a first-hand appreciation for crafting assistive devices for people to stay active. I feel blessed to have my health and the enjoyment I get from being active through running, so this year I decided to put my time and talents to use for a worthy cause, and I couldn’t have chosen a better organization than Vermont Adaptive! It is so motivating to see the determination, and enjoyment, of those who benefit from Vermont Adaptive, and I’m just glad I can give a little bit back. I ran last year as a Charity bib runner for two reasons; i) I thought it was a nice idea, other of my friends ran different races and raised money, ii) It was a guaranteed entry. I wasn’t able to finish last year so I still wanted that guaranteed entry. 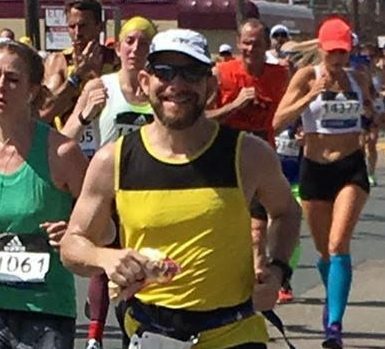 However, after guiding some visually impaired runners a couple months after last years race and how much fun and what a difference it could make I thought this was a great idea, so I thought I would try it again. I was matched with a little guy named Nick about 3 years ago. Nick, my WingMan, suffered a brain injury at birth and does not have mobility in one whole side. 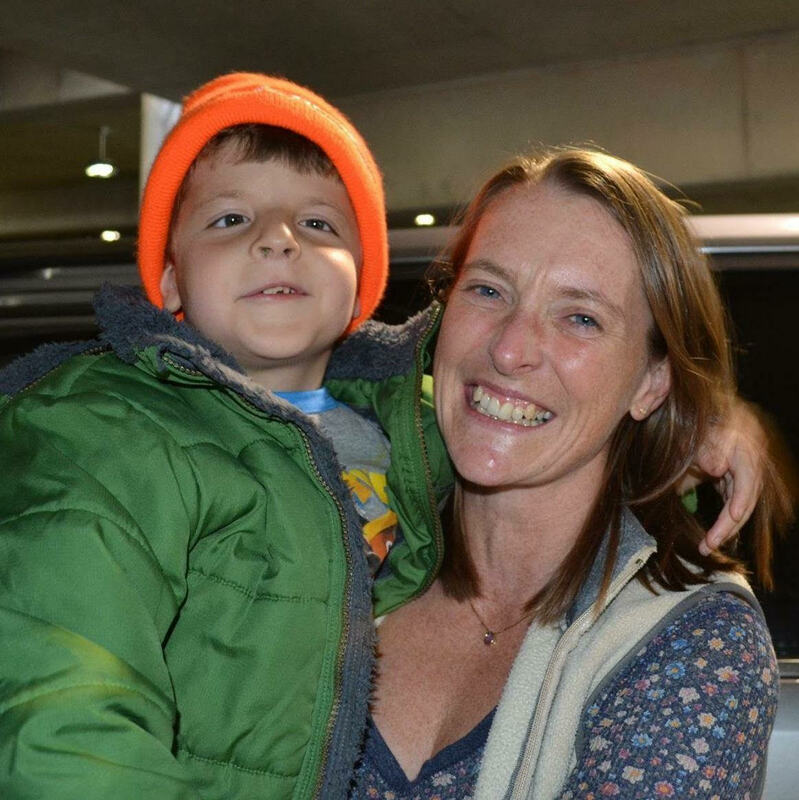 His parents have never given up on the hope that he might be able walk, and even run someday. He is excelling in school, very dedicated to all of his different therapies and loved by everyone he meets…his energy is infectious! He participates in a local adaptive sports camp where he lives, much like VASS, and largely in part thanks to the kindness of donors who support such an amazing opportunity. 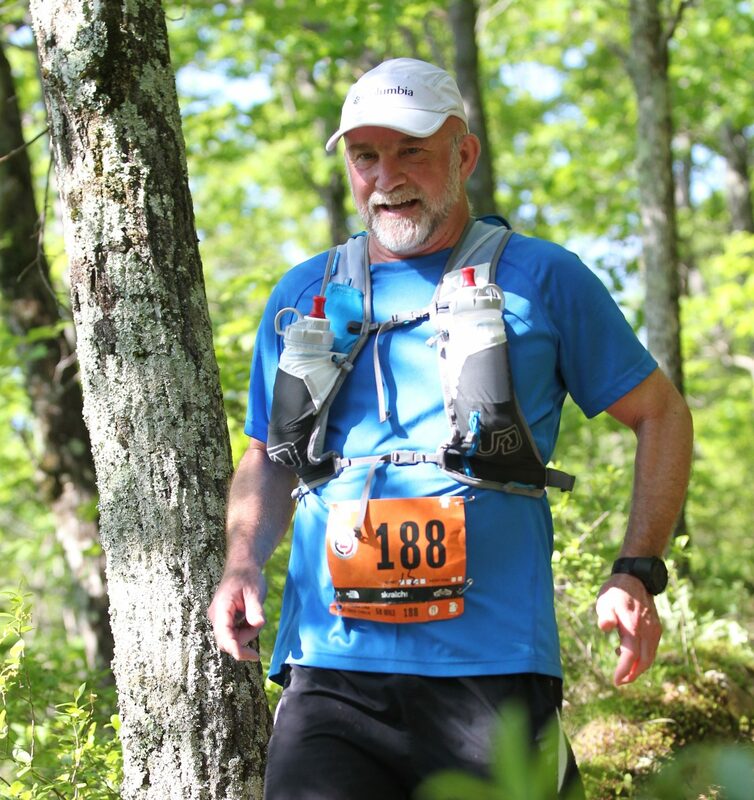 This is my 3rd year fundraising for VASS, and my 6th attempt at finishing VT100…I just love what this event is all about. There is a certain depth of humanity that is experienced out in those miles, and I can’t seem to get enough of it. When the chance came up to be a part of the fundraising team and do more for VASS, it was a natural choice. I love being a part of something bigger, something pretty special. I just want to let you know how lucky I feel to be able to run for such a great cause. *Note – The above list of individuals represents the majority of the 2017 Team Run 2 Empower team, however some participants didn’t submit their bios to us on time to get published. You can still find those unlisted individuals (as well as others) and donate to their campaigns within the Team Run 2 Empower PledgeReg page. Cheers!